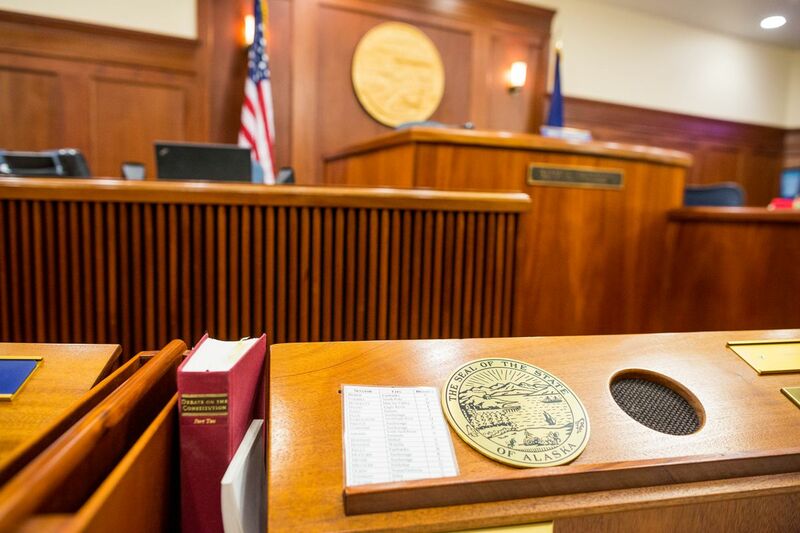 More than a dozen competitive races for seats in the Alaska Legislature are playing out around the state ahead of the Nov. 6 election, with candidates voicing a range of views on taxes, the Permanent Fund, crime and the best way to balance the state's budget. 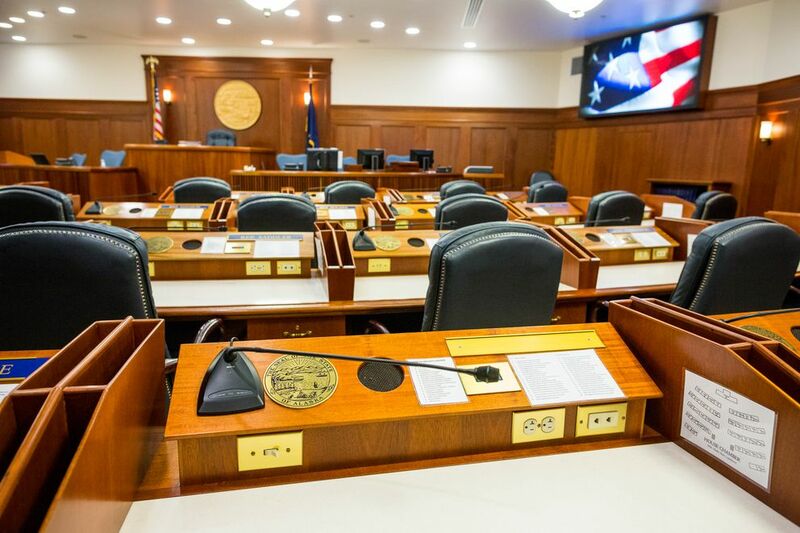 At stake is leadership of the Alaska House of Representatives, and also the state Senate. Early voting is happening now. The last day to vote is Election Day, Nov. 6. Here are some of the races we're keeping an eye on this week, with potential to tilt political balances. Republican Sen. Pete Kelly is a veteran legislator and, currently, the Senate president. In his bid for another term, Kelly is facing an energetic threat from a fellow Fairbanks lawmaker: Democratic Rep. Scott Kawasaki. A win by Kawasaki would force a leadership shake-up in the 20-member Senate. The two candidates diverge sharply on issues like spending, taxation and the Permanent Fund dividend, reflecting the broader ideological battles that have consumed the House and Senate the past several years. Kelly's allies have criticized Kawasaki as an income tax advocate and ineffective lawmaker; supporters of Kawasaki have accused Kelly of draining state savings accounts and cutting state budgets too far. Kawasaki wants to make the Permanent Fund calculation part of the Alaska Constitution. Kelly has said that he doesn't want to enshrine a "government check" in the state constitution. According to recent campaign finance reports, Kawasaki had raised more than $207,000 to support his campaign, while Kelly reported raising about $187,000. Kawasaki was outspending Kelly overall by about 20 percent as of mid-October, the records show. Independent expenditure groups, which work separately from candidates, have also been spending money on the race in hopes of swaying voters. Kawasaki's campaign complained he'd been targeted by more than $100,000 in negative ads from two different groups, both financed by a national group called the Republican State Leadership Committee. The group is based in Washington, D.C., and works to elect Republicans around the country. Meanwhile, a group called Fairbanks Versus Pete Kelly has spent more than $23,000 on ads targeting Kelly, often with the nickname "Pickpocket Pete." That group is chaired by Frank Maxwell of Fairbanks, a retired Department of Natural Resources employee, records show. HOUSE OF REPRESENTATIVES: Which incumbents are fighting to keep their jobs? Incumbents have had their work cut out for them in recent years, and this election is no exception. Here are a few of the more dynamic races we're seeing. Paul Seaton, the cap-wearing, 73-year-old Peninsula representative, was a Republican for years before he broke from the House Republican majority in 2016 to caucus with Democrats and independents. He's now running as a nonpartisan, saying he doesn't want to be held to any one political party. Meanwhile, a more conservative Republican candidate has stepped up to oppose him: Sarah Vance, a homeschooling mother of four. Vance gained attention in 2017 as the spokeswoman for Heartbeat of Homer, a group advocating for the recall of several Homer Assembly members over an "inclusivity resolution," which the group saw as an effort to turn Homer into a sanctuary city. Vance is campaigning on a full Permanent Fund dividend and opposition to a state income tax. Seaton has said it isn't possible to pay out full Permanent Fund dividends, not raise taxes and not raid the Permanent Fund without making devastating cuts to core agencies. He said he wants to see new revenue measures, including changes to oil taxes. Independent Rep. Jason Grenn cruised to victory against an incumbent Republican in 2016 on promises he'd help fix the state's budget and break partisan gridlock. He joined the new, mostly Democratic House majority coalition, which has lobbied for higher education funding and restructuring the Permanent Fund. In his first term, Grenn also pushed successfully for ethics reform. Now Grenn is hoping his record helps him fend off a challenger: Republican Sara Rasmussen, the granddaughter of former Anchorage Assemblyman Don Smith. On her campaign website, Rasmussen said the state's politicians "spend money like drunken sailors" and criticized Grenn for his budget votes. Both candidates have emphasized concerns about crime in a neighborhood that recently launched its own community patrol. Grenn said the state needs to do something about drug-fueled crime, while Rasmussen said she wanted to see harsher sentences and more punishment for offenders. Dustin Darden, a perennial candidate for both state and local office who advocates for fluoride to be removed from drinking water, is running as a Democrat in District 22. Grenn had raised more than $80,000 for his re-election campaign, about a third more than Rasmussen. He also got a substantial boost this week from an external source: an independent expenditure group originally created to support the re-election of Gov. Bill Walker, who dropped out earlier this month. The group, Unite Alaska for Walker, is chaired by CIRI Senior Vice President Barbara Donatelli. Campaign finance reports show the group is spending at least about $15,000 on digital ads and mailings to support Grenn. It's spending smaller amounts on ads supporting three other independent candidates in other races: Seaton in Homer, incumbent Rep. Dan Ortiz of Ketchikan and Juneau candidate Chris Dimond, records show. Meanwhile, an independent expenditure group called The Alaska Accountability Project, which is chaired by former gubernatorial candidate Scott Hawkins, is spending heavily to fight Grenn's re-election. Records show the group has spent at least about $45,000 on radio, video, mail and online ads to oppose Grenn, Democratic candidate Pat Higgins and a few other Democrats in other races, while spending at least about $15,000 on efforts to elevate Rasmussen and another Republican candidate, Josh Revak, including fliers, robocalls and walking canvassers. That group is also being funded by the Republican State Leadership Committee, the records show. As far as a candidate lineup, the general election for District 15 is actually looking a lot like the August primary. Absentee ballots propelled Rep. Gabrielle LeDoux to a narrow win in her Republican primary race against Aaron Weaver in August amid questions about "voting irregularities" in absentee ballots. LeDoux has said she's done nothing wrong, and has pressed on to raise more than $140,000 for her re-election bid, one of the highest fundraising totals of any candidate for the Legislature. Her recent expenditures include consulting fees for the Anchorage law firm Reeves Amodio LLC, records show. Meanwhile, Jake Sloan, an East Anchorage contractor, launched a write-in campaign in Weaver's place. Sloan has the support of the Alaska Republican Party, whose opposition with LeDoux became clear when she decided to caucus with Democrats and form a new House majority in 2016. Sloan has said he wants to repeal Senate Bill 91 and return the PFD to its legal calculation. On the Democratic side, Lyn Franks, a UAA history professor, won the nomination in the August primary. She beat Patrick McCormack, a Democrat, and Rick Phillips, who is undeclared. But that wasn't the end of it: Since then, McCormack and Phillips have both launched their own write-in campaigns. Rep. Lance Pruitt of Anchorage, a former Republican House majority leader, wants another term. He's up against a well-funded Democrat, Liz Snyder, a University of Alaska public health professor who sports khaki Carhartt overalls in her campaign photograph. Both candidates are in their late 30s but diverge widely on policy issues. Pruitt, for example, has advocated for cutting government and tapping savings over new taxes and reduced PFD checks. Snyder has said she supports using Permanent Fund earnings to pay for government, and a constitutional amendment that guarantees a portion of Permanent Fund earnings will be paid out in PFDs each year. She also said she's open to supporting an income tax if the state needs additional revenue in the future. The latest campaign finance reports show Snyder has brought in roughly $80,000 in fundraising, including donations from political action committees affiliated with unions and Democrats. Pruitt had raised roughly $50,000, reports show, including contributions from Republican groups. Independent expenditure groups have also been producing ads. Opposition ads by Putting Alaska First, a group affiliated with the AFL-CIO, have targeted Pruitt. The latest records show the group has spent more than $2,600 on ads opposing Pruitt. The same group has spent tens of thousands more supporting Democratic candidates in other races, including LeDoux. Snyder, meanwhile, was being targeted by an independent expenditure group called Alaska for a Sound Economy, which is funded by the Republican State Leadership Committee. This particular group has spent about $7,200 on mailers opposing Snyder, according to campaign finance reports. Rep. David Eastman, one of the most fiscally and socially conservative members of the Alaska Legislature, landed in office with an insurgent win against an incumbent in 2016. Now he's seeking a second term. While his unyielding opinions on spending and abortion have made him popular with some conservative activists in his district, Eastman at times has found himself at odds with some of his Republican colleagues in Juneau. Even so, Tuckerman Babcock, the chair of the Alaska GOP, said Monday the party was "100 percent" behind Eastman. Eastman did draw another Republican challenger with some name recognition: Doyle Holmes, an 81-year-old former deputy Wasilla mayor and assemblyman, garnered enough petition signatures to land on the general election ballot. Holmes has sometimes served as a local Republican party chairman. The Democrat in the race is Patricia Faye-Brazel, a planner and technical adviser who said she supports workers' rights and government accountability. The vast District 6, which spans from Arctic Village to Chitina, has been the staging ground for a Democratic bid to unseat a sitting Republican. Rep. David Talerico, a retired miner from Healy, is hoping to win his third term. His challenger, Ed Alexander, is from Fort Yukon and the education manager at the Tanana Chiefs Conference. Resource development, fiscal problems and challenges affecting rural Alaska, such as public safety, have been some of the major campaign issues. Talerico has said he supports what he describes as responsible budget cuts, and said more resource extraction, particularly minerals, will help close state deficits. Alexander, meanwhile, says oil tax reform would help the budget. He also says he supports more rural representation in state government, touting his efforts to knock on doors in rural communities in the district that candidates don't typically visit. Rep. Matt Claman already beat Marilyn Stewart for the District 21 seat once, in 2016. Now Stewart is taking another swing at the seat. This time around, the candidates are talking a lot about crime and state criminal justice reform, Senate Bill 91. Claman, an attorney and a Democrat, has said he'd supported legislation to address criticism and problems with Senate Bill 91 since it passed in 2016. His campaign has also pointed to investments in law enforcement, prosecutors and rehabilitation. Claman has raised more than $100,000 for his re-election bid, about three times as much as Stewart. Stewart, a Republican, is a former director of the Anchorage Office of Equal Opportunity, has particularly campaigned on the outright repeal of SB 91. Longtime Democratic Rep. Chris Tuck is the current House majority leader. As of mid-October, Tuck had spent relatively little money on campaign advertising, though he spent a similarly small amount during his successful 2016 campaign. His Republican challenger, Connie Dougherty, has surpassed him in fundraising and spent about as much as Tuck has raised overall. In her campaign, Dougherty has largely focused on a conservative platform of harsher sentences for criminal offenders and restoring a full Permanent Fund dividend. Some lawmakers are retiring, choosing not to run again or lost in primaries, leaving open seats. Here's a roundup of the more interesting battles for House seats where there's no incumbent advantage at play. Two longtime Juneau public officials are competing for a seat being vacated by Rep. Justin Parrish, who is stepping down after one term in office. Jerry Nankervis, a Republican, is a city assemblyman and former deputy mayor and police chief. Andi Story, a Democrat, is a longtime Juneau School Board member. On fiscal issues, Nankervis has said he supports using a portion of Permanent Fund earnings to balance the budget and rebounding oil prices can solve the state's deficit. Story, meanwhile, has said the state needs a long-term fiscal plan for balancing the budget, and that she's open to a variety of revenue options. Josh Revak, a military veteran and political newcomer, toppled House minority leader Charisse Millett in the August Republican primary. He got a boost from an independent expenditure group, Let's Back Revak!, and populist ire over criminal justice reform. Revak is hoping to carry that momentum into Tuesday's general election, where he's facing another political veteran: Pat Higgins, who spent more than a decade on the Anchorage School Board. Higgins ran against Millett in 2016 and barely lost. This time around, Higgins is supporting a sales or income tax over tapping Permanent Fund dividends to close state budget gaps. Revak has said he's against new taxes and would focus more on business development and budget cuts. Rep. Kawasaki's decision to challenge Sen. Kelly created an opening for the first new House member in downtown Fairbanks in about a decade. Two longtime Fairbanks public officials are vying to fill the seat. Democrat Kathryn Dodge, whom Kawasaki has endorsed, is a current member of the Fairbanks North Star Borough Assembly and an assistant professor at the University of Alaska Fairbanks Cooperative Extension. The Republican challenger, Bart LeBon, is a retired banker who served nearly a decade on the Fairbanks North Star Borough Board of Education. Like other Democratic-Republican matchups, the two diverge on fiscal issues, though they have some similarities. LeBon has said he's against taxes of any kind and is looking to rebounding oil prices to help close the state's deficit; Dodge has said she's interested in examining taxes paid by corporate and out-of-state companies, as well as the motor fuel tax. Both have said they're against cutting the Permanent Fund dividend. Both candidates have been aggressively fundraising, collecting more than $100,000 each. As of the latest campaign finance reports, Dodge had spent down more than three-quarters of her war chest, and about twice as much as LeBon. Correction: A previous version of this story misstated House candidate Dustin Darden's legislative district. He is a candidate in District 22, not District 25. Candidate Dunleavy said he had no plans to cut ferries, schools, university. Then Gov. Dunleavy proposed deep reductions.